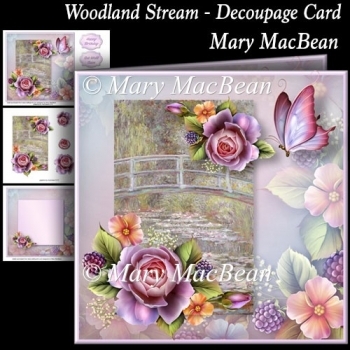 Decoupage card with a pretty country scene and roses. 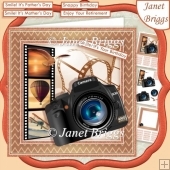 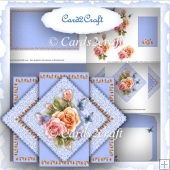 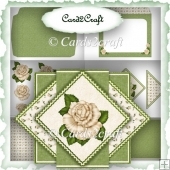 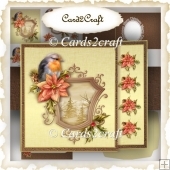 The kit has 3 sheets which include the card front, insert, decoupage, sentiments and 2 extra images which can be used as gift cards or to trim the inside of the card. 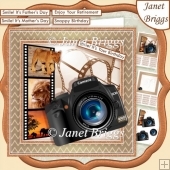 There are 3 sentiments - Happy Birthday, Get Well Soon, Especially for You - or a blank tag for your own message. The finished size is about 7.5 in x 7.5 in.